Technological evolution has permeated the young generation’s overall life engagement. Everywhere you look, there you see a child clutching an iPad or a tablet! What role does mobile play session play in a child’s life? Can you do something about it for your child? It is alarming to see how the advent of technology and gadgets not only limits your child’s wonders of experience and knowledge, but also how it exhibits negative effects on their health in the long run. As a parent, you need to be persuasive and convincing in helping your child see that mobile outdoor play activities present sensational and helpful benefits. This would eventually overturn your child’s mindset that traditional outdoor play is outdated and boring. Everyday, you may hear your child complaining about feeling tired. Your child may feel that it is “uncool” to play in the traditional playground. This most constantly happens when your child has a lot of free time just being idle at home, for instance, if your child is homeschooled. According to Brian Ray, president of the National Home Education Research Institute, about 2 million of the students in the United States are homeschooled. School especially gets difficult for shy children. 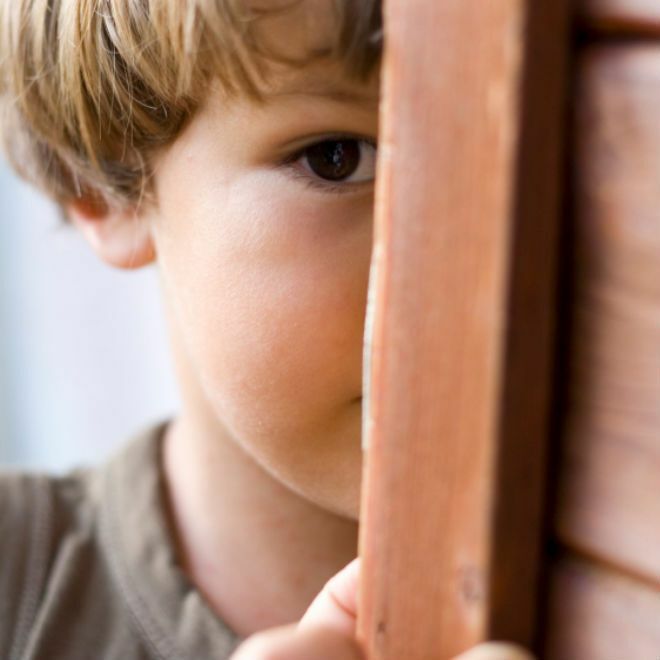 Shy children tend to encounter experiences of bullying in the school bus. When this happens, they have not got a single clue on how to stand up for themselves. One way to practice getting out of the shell is to make shy kids sociable through playgrounds. This may be a challenging goal to achieve. Introverted or shy kids all the more depend on digital gadgets to pass their time, rather than choosing to practice extroverting themselves in playgrounds. One of the leading survey agencies, the Britain’s Office For National Statistics, produced data showing that kids who play video games in excess of four hours per day, report lower levels of “well-being,” as compared to kids who only play 60 minutes or less of video gaming per day. 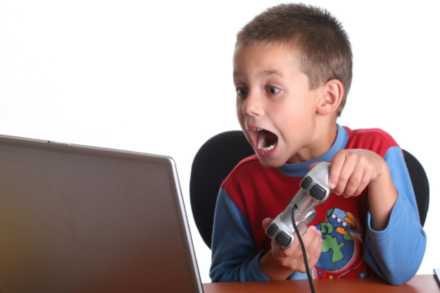 Kids who play excessive video games tend to have less opportunity for in-person interactions. They then become prone to being shy as when they face their peers in social situations a few times; they feel new being around real people. On the other side, most of these kids’ self-esteem tends to suffer, igniting them to become even shyer, when they gain excessive weight due to lack of physical mobility as they engross themselves in video games. When kids get engrossed in digital video games, they begin to forget to become physically active. The kids’ engrossment to the digital world tempts them to lock themselves on their seats for several hours per day. Because of this prime dilemma, you may get alarmed and prompt yourself to take action to enable children get fit at playgrounds. Firstly, you need to sit down and talk to your child heart-to-heart. Let your child know that you are initiating such conversation because you truly care about his/her welfare. Aware your child before you go any further that have no hidden selfish agenda in trying to open up his/her mind. Start the conversation by asking your child the feel that he/she gets of his his/her physical built. Encourage your child to be honest in opening up about her insights. Once you get to obtain your child’s trust, then that will be the best time to proceed to the formal conversation. Start out from this point on by giving your child the opportunity to picture himself when he gets older. Ask your child if he ever wants to feel sick all the time, while at the same time, having no friends at all. Alarm your child that this is likely to happen to him in the near future if he continues to live without physical mobility and interactive play. Explain to your child the interrelation of such consequences to the type of lifestyle that he is currently leading. The most dominant way that experts find effective in talking to your child with the aim of getting him to listen is the being assertive. An assertive communication consists of firmness, consistency, clearness, positivity, warmness, and confidence. Get the message to your child that you mean business, but at the same time, not sounding harsh, rough or abusive. Once you have convinced your child to give mobile play sessions a try, keep in mind that outdoor play need not be boring and physically exhausting when trying it out for the first time. You need to thoroughly know your child to be able to conceptualize ways to get him to enjoy the playground that he would keep coming back for more! Firstly, it is optimal that you first conduct a well-planned play program for your child, to enhance success of play enjoyment. Start laying out your playground plans by getting to know your child’s strengths and weaknesses. Begin to plan an activity that showcases your child’s strengths first, before focusing on his weak areas, Make your child stronger by boosting his strong attributes. By the time that you would be strengthening his weaknesses, he has already built the foundations that can make him stronger, making it easier for him to conquer the difficulties of improving his weaknesses. In free range play, you encourage your child to not feel afraid to explore their surroundings and playground experiences on their own. It is perfectly understandable that this cannot be done instantly, the first time that your child tries outdoor playground activities. After giving the initial support to your child, little by little, release him to the open playground surroundings to discover what’s in store for him there and to learn from his mistakes, if there would be any. Your child would feel the freedom of being able to take on the call to navigate around the playground without you bossing them around. At least, they would feel accountable for any consequences that might arise out of their actions. When using the playground equipment, you need to expect that your kid would not be 100 % safe all the time. There would be times when your kid would fall off a swing, and catch a bruised arm or something. Do not fret as this is just a minor incident that would help your child become stronger and learn from experiences. Besides, if you panic, you are likely going to scare your child away from playground activities. This would then revert him to his old, unhealthy and isolated lifestyle that he has grown accustomed to. You can choose a playground that offers equipments customized to your child’s health and fitness needs. If your child is overweight, try to choose a playground with a climbing structure equipment to help your child sweat it out, get some exercise, and hopefully lose that weight. Encourage your child that sweating pertains to the “no pain, no gain” policy. Explain to him that getting tired and exhausted entails him the prize of getting physically fit and healthy. Gather his playmates support to give him stronger push and encouragement. It is important, though, that even as your child’s playmates come to the playground to play, that you contribute in clearly establishing safety rules to maintain the secure welfare of every child. Be firm in maintaining your stance that non-compliance would cause expulsion in the playground to give consideration to the general welfare of the children. Commercial playground facilities pose a challenging stance for the parents. You need to carefully study the surroundings and equipment of the playground, considering that it is public and not built in customization to their child’s personal needs. 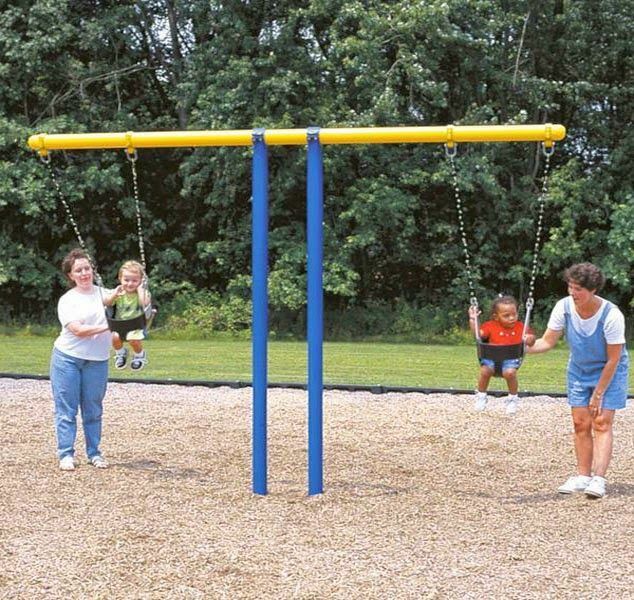 It is important even as you are concerned with the health and sociable benefits of playgrounds to your child that you do not pressure him to use equipments below his age and ability range. Do not make your child climb a high ladder if he has yet to develop his motor skills in doing several walking and running. On the other hand, you can still make playing fun for your child by taking part in the play activities with him and the other kids as well. Nothing beats the fun of sharing laughter and joy with additional playmates. The extinction of outdoor play has not taken its toll. The society may see the decrease in the trends of outdoor playground activities. However, they have not become totally or almost obsolete, thanks to you, the parents and other professional advocates expressing concerns over the well-being of small children. Being fit, healthy and happy is definitely an achievable formula. The only answer is that kids need different playing experiences so as to deeply engage them in the creative outdoor playground activities, like how they are caught up in Candy Crush and World of Warcraft video games. It is up to the parents as to how they would catch the tickles of their kids to match various playing experiences that would click. Brainstorming would definitely generate ideas.